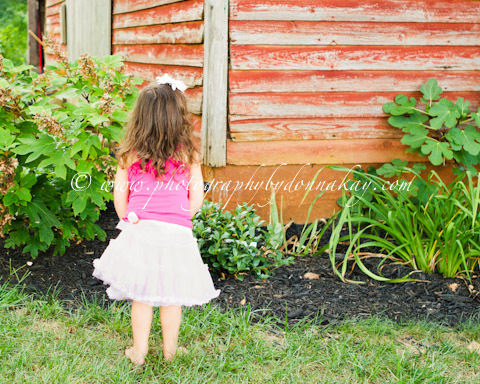 If you've seen much of my work, then you know I love photographing children of all ages. Newborns grab at my heartstrings, but who doesn't fall in love with a newborn? But I also really love kids when they are at that age where they have so much going on in their minds... and it all makes perfect sense to them! 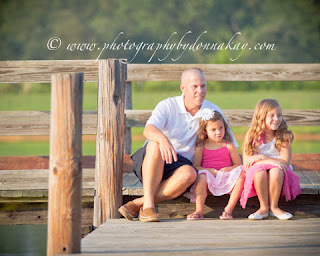 I was blessed to get to do a session with 2 little sisters, one of whom just celebrated her 4th birthday. And it was a special session because there was a tutu involved -- and that always makes everything more fun!! My competition that evening, though, was a sweet little kitten... whom I am thinking may have found a new home!! 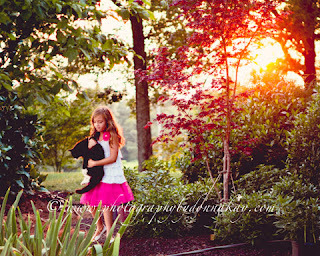 The kitten stole the attention of this sweet little girl "A" from the very beginning... and she's pretty sure that kitty is somewhere up in this area!! 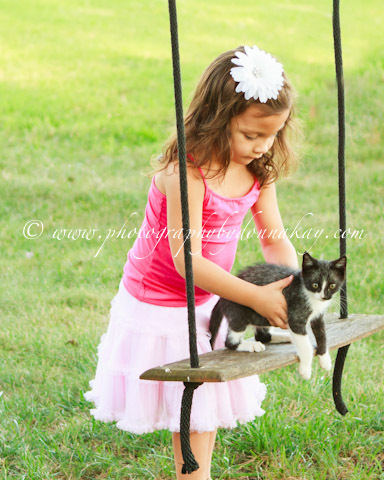 Of course, A couldn't understand why this kitten didn't want to hold on when she was trying to swing it!! And how do you explain that to a 4-yr-old? I loved seeing her excitement and enthusiasm... kids have to grow up too quickly, so it's such a refreshing thing to get to be around a child who is simply being who they are supposed to be --- a sweet little child! It was a gorgeous night, and there were plenty of cats around for A and sister L to play with, chase and try to swing. Choosing which photos to keep and edit, and having to get rid of any of the others was quite a chore. The little girls are simply beautiful!! I can't wait until my next opportunity to capture more special moments with these girls!